Things just aren’t the same. The terrain is different. The people are different. One of them, a man of straw, wants a brain. One, a man of tin, wants a heart. One is a lion in need of courage. One is green and obsessed with ruby slippers. One wants to maintain the illusion of power while standing behind the curtain of anonymity. Still there are others. Some are large and march in straight lines. Some are small and some can fly. There is even a horse of a different color. Dorothy, a strange person in a strange land, may not know it, but she is actually an involuntary immigrant who just wants to go home. L. Frank Baum’s children’s book metaphorically depicts how the colorized rules and customs of the Wonderful World of Oz seem incongruous, yet at the same time analogous, to the black and white world of Auntie Em. One could make the same comparison to today’s workforce. From the Millennials, Generation X and the Baby Boomers, to the vestiges of the Silent Generation, today’s workers and their places of work may comprise their own versions of Kansas and Oz. The Workplace—Are We Meeting the Needs of One or All? There is certainly no lack of data, scholarship or managerial antecedents when it comes to characterizing the evolving world of work. In particular, much has been written regarding preferences, motivations and characteristics of the individual generations. Practitioners and academics alike are acutely aware of the competition to attract and retain the best and the brightest regardless of generational roots. However, like consumer researchers analyzing specific market segmentation, the emphasis seems to be in developing workplace environments specifically geared to one generation, the Millennials. According to the U.S. Census, there are approximately 138,000,000 individuals in the national workforce. Approximately 21,000,000 draw a public paycheck. It has been estimated that by the year 2020, 40 percent of the country’s workforce will be comprised of Millennials. This generation, all 77 million of them, is clearly the generation of the future. At age 69, the oldest Boomer is older than 91 percent of the nation’s population. At age 51, the youngest Boomer is older than 68 percent of the nation’s population. At age 50, the oldest member of Generation X is older than 67 percent of the nation’s population. At age 36, the youngest member of Generation X is older than 49 percent of the nation’s population. Accordingly, it also means the oldest Millennial is 35 years old and is already older than 48 percent of the population. 1) Life cycle effects. Young people may be different from older people today, but they may well become more like them tomorrow, once they themselves age. 2) Period effects. Major events such as wars, social movements, economic downturns, medical, scientific or technological breakthroughs, affect all age groups simultaneously, but the degree of impact may differ according to where people are located in the life cycle. The terrain may be different but maybe not so much the people. 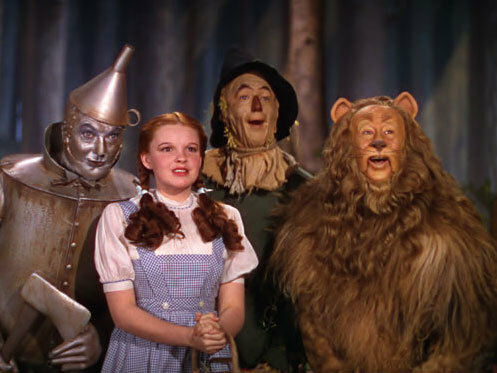 Like the characters in Oz, some want a brain, some want a heart, some need courage and some just want to go home. I would posit that the best and brightest want them all regardless of generational affiliation. For the purposes of this article, I would define a brain as knowledge and ability, a heart as the desire to serve the public and the organization, courage as the will to ask questions and make tough decisions and home as a secure place where one has the freedom and support to create and implement. These needs may just be the connection between all of the generations. Each of us is a product of our own experiences and needs to follow our individual, as well as our common, yellow brick road. Author: Stephen G. Harding is an adjunct professor and a policy, management, and economic development adviser to local government. Over his 38-year career, he has served nearly 60 public, private, nonprofit and academic organizations. He teaches in the graduate public policy and public administration programs at Northwestern University and the University of La Verne.